With the help of HGTV, the Gaines, and Pinterest, the world has gone crazy for farmhouse everything. And I have too! 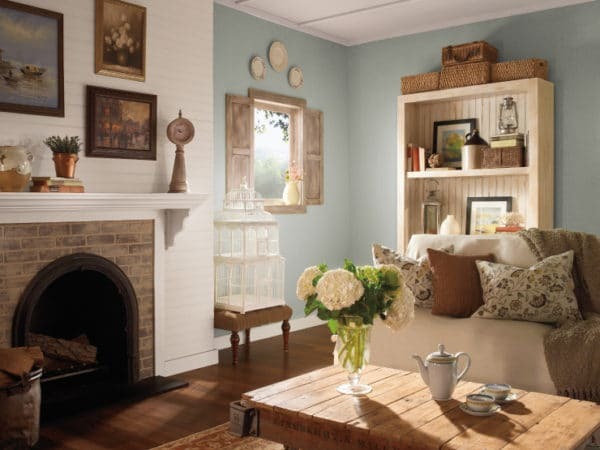 Farmhouse décor, farmhouse shelving, farmhouse furniture and more has completely taken over. Why? I love the simplicity, I love the way it brings us back to a simpler time when life was slower and less complicated. I love a somewhat rustic solid wood table, the beautiful elegance of natural elements and of course, the shiplap. Give me all the shiplap! 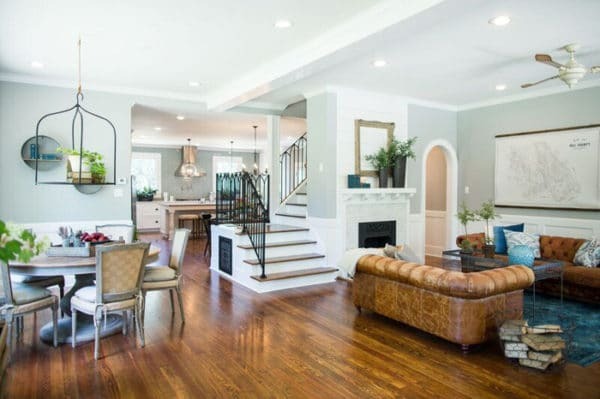 One of the hardest elements of achieving farmhouse décor is picking the right paint color. Rest assured, there are way more than 50 shades of gray and finding the right one can put you in a fog. To help you out, we have found the best farmhouse paint colors that are used by those who know farmhouse style the very best. One of the most difficult colors to choose is gray. For the perfect farmhouse style you need one amazing gray. Conveniently, Sherwin Williams has created that exact shade and it’s actually called, “Amazing Gray.” That makes things easy, doesn’t it? 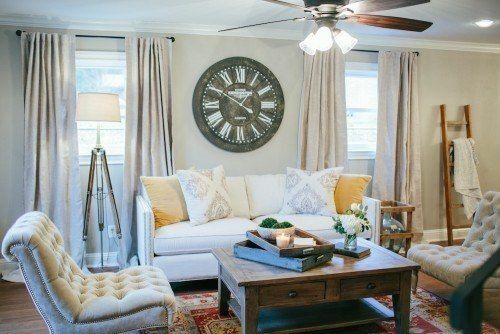 Both of these gray colors are favorites of Joanna Gaines and have been featured on HGTV. 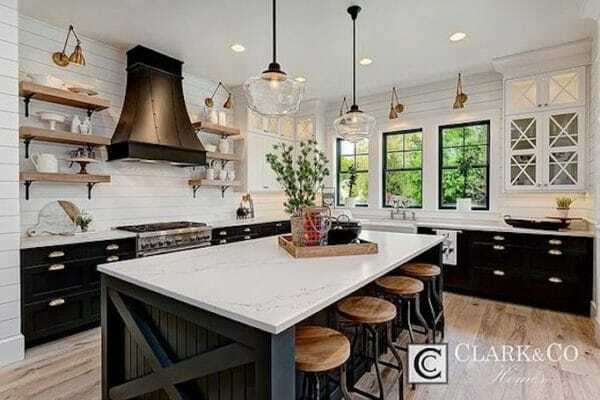 The photos above are of Magnolia Homes designed by Joanna Gaines. At first glance, this paint appears to be a hint of greal or teal, but the truth is, it’s another shade of gray. This one is one of Joanna’s favorite colors because it can change tones depending on what else is in the room. 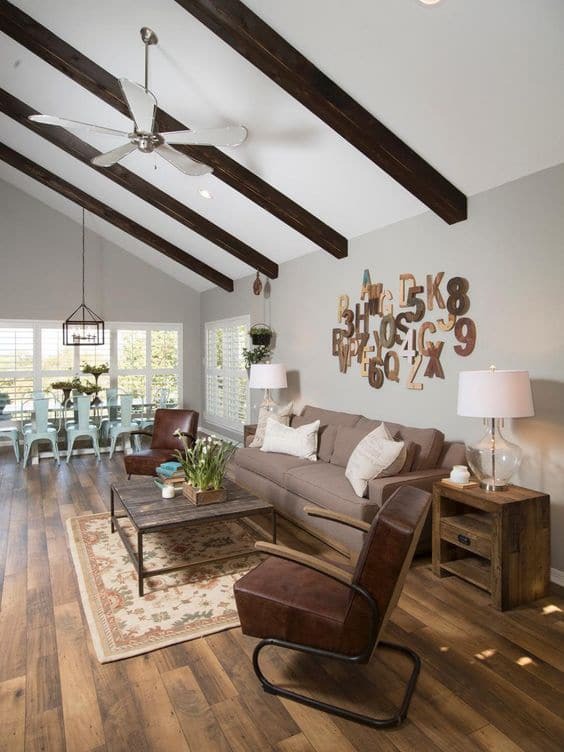 Silver Strand by Sherwin Williams is ont of the most popular farmhouse colors used frequently on Fixer Upper and looks beautiful every time. If you’re not into any shades of gray, antique white is the next best choice. 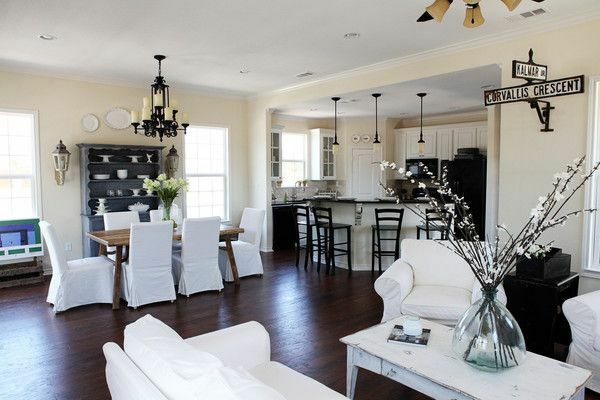 This photo is Antique White by Sherwin Williams features in a Magnolia Home. If you are looking for a stark white that isn’t too harsh check out Swiss Coffee by Benjamin Moore. Sometimes you need a little color, and farmhouse colors provide plenty of options, this particular shade of light blue-green is part of the Behr farmhouse collection, Brook Green contrasted against Ultra Pure White for the mantle, ceiling, and trim. Farmhouse style doesn’t always have to be muted either. A bold blue, bright red, or deep green work beautifully in their respective elements. 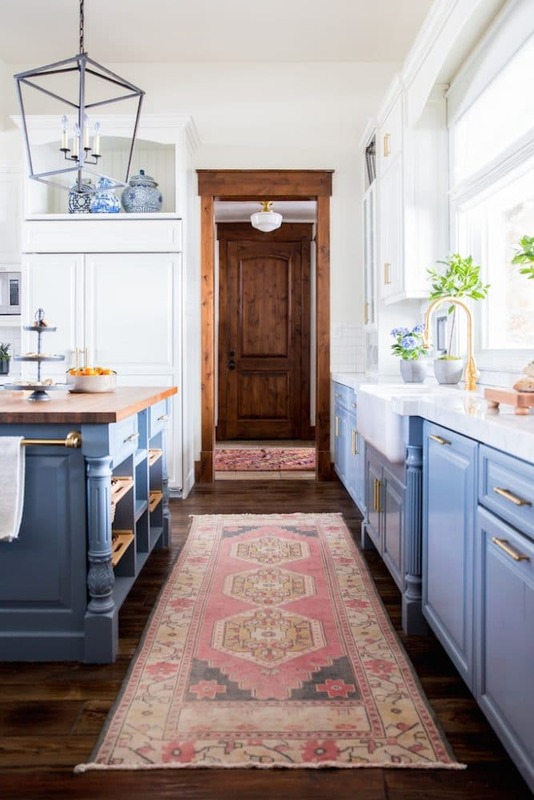 This blue kitchen is one of my favorites because it combines both rustic and industrial elements to create a clean and simple look. The white is Benjamin Moore Swiss Coffee, a classic farmhouse white and Courtland Blue also by Benjamin Moore for the cabinets. The finished look is breathtaking. An unexpected farmhouse option is the addition of black. While shite and black are quintessential modern style, they can make a beautiful farmhouse combination with the right style combined with natural copper and wood tones. I hope these colors have helped inspire you as you plan your next painting project! So what is your favorite color? Comment below and let me know!